Ever wondered how quickly junior high school fashion changes in Japan? Look back over the shifts in junior high school (known as “JK” in Japanese) fads from 2016 to 2015, 2008, 2000, 1995, 1980 and, er, 1684? Produced by mobile phone provider NTT Docomo, this music video a whirlwind tour of teenaged girl fashion through the ages in just over a minute. Not only fashion and clothes, it also showcases the various poses that different styles of JK girls have adopted across the years. 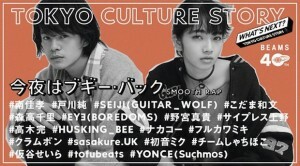 Examples include (as rendered in the very directly translated English titles in the video) “finger-mouthing style”, “finger heart style” and “looking back beauty style”. 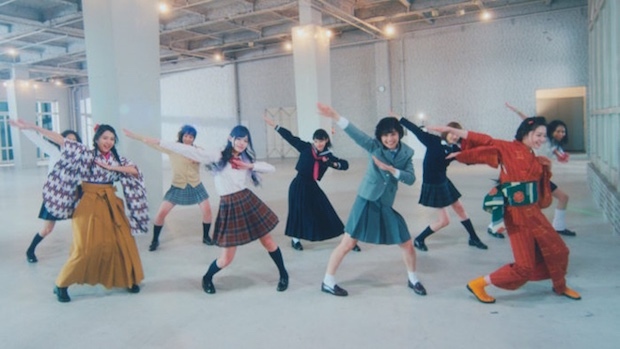 The cast is a nine-piece female idol group called Tokyo Performance Doll (TPD), which released their first album in January. The video is a tie-up between NTT and Snow, a “video communication app” that is popular with this demographic. NTT wants young school students to use their phones and the app to create graduation photo albums to mark the end of the academic year. These kinds of promotional videos are popular now. Another example was the recent music video made by Beams that charted fashion trends over four decades.